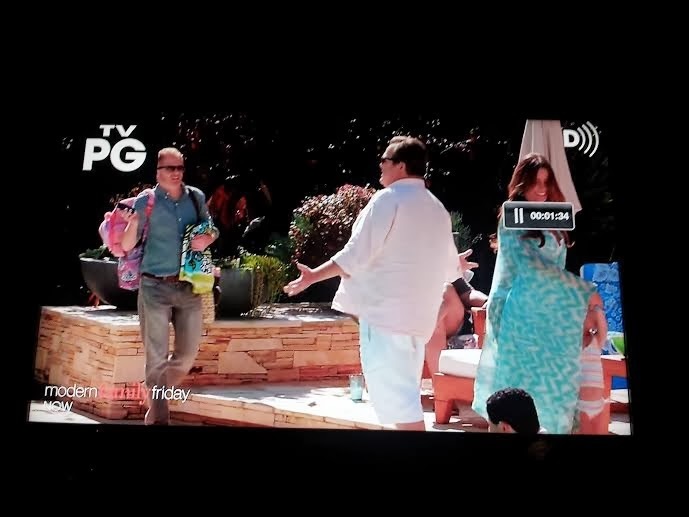 Another Vera Sighting on Modern Family! They sure love the Vera Bradley beach towels! Thank you to Ashley who was able to snap these photos from the show a couple weeks ago. I was watching Modern Family past episodes over Christmas vacation and saw an episode from the first season with Mitch using a Purple Punch Weekender as a baby bag. I love how it pops up from time to time.